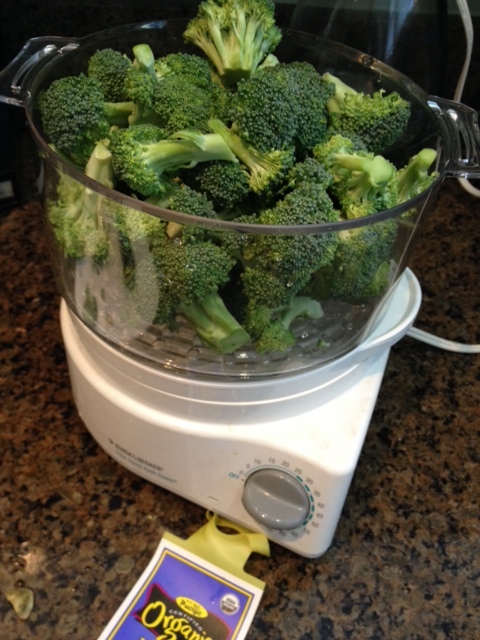 The lemon edges are used to add juice to the broccoli after its roasted, which only takes 10 minutes. The second recipe is for Orange-Infused Roasted Green Beans and Red Peppers. This also involves coating everything with olive oil and roasting the beans and red peppers for 15 minutes. Here are the ingredients and nutrition info, again with the salt used, I would omit the salt to cut sodium content.